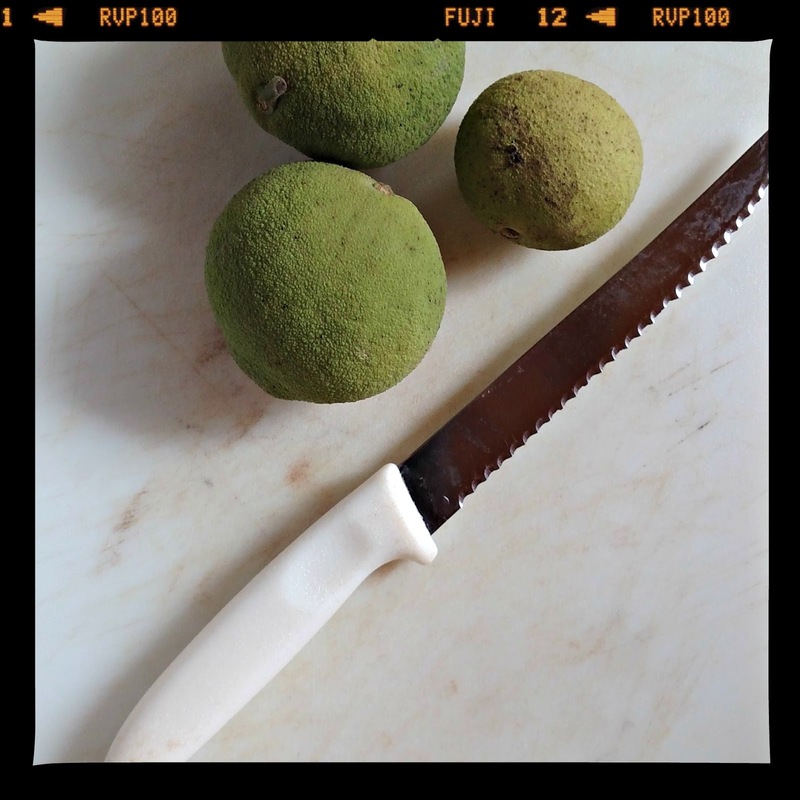 Last year I wanted to make walnut tincture, but I missed the window of time when the hulls on the walnuts are green. This year I timed it just right. All you need to make it are a few walnuts and the strongest proof vodka you can find. The tincture can supposedly be used like iodine to clean wounds. The walnut hulls smelled just like iodine when I was chopping them up. Black walnut tincture can also be used to deworm for various parasites. Some people use it to deworm their animals. Among other things, it may help lower cholesterol and blood pressure, and may treat heartburn and colic. It is known to be good for fighting candida or yeast in the system. Some even say it fights cancer, syphilis, and malaria. 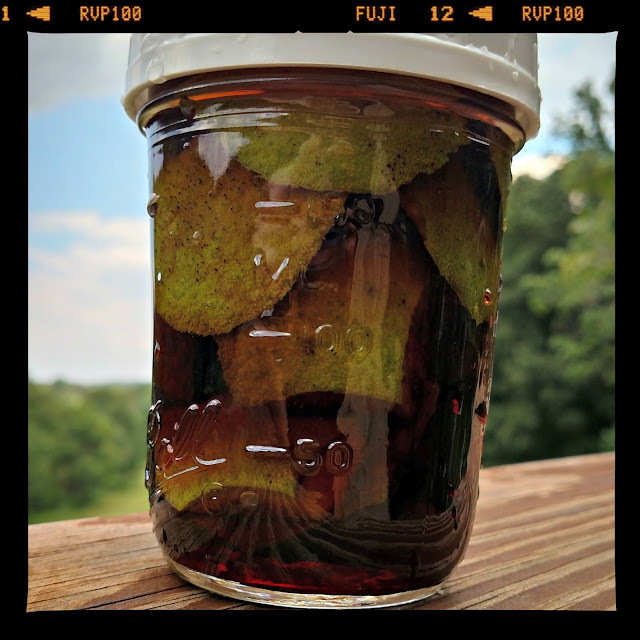 Black walnut tincture is strong and you should consult your doctor before using. It is not recommended that you take it for longer than two weeks, and it is not recommended for use in pregnant women. I think it will be handy to have around. I will let this cure for a month in a dark place before straining out the hulls and bottling it. You have the most interesting posts, Lisa. With 3 little boys, I know this will come in handy for cuts etc. You guys enjoy the weekend. Walnut fruit even smells like a medicine. It should work good. When I was little we used turpentine for wounds, it doesn't burn like everyone thinks and coats the area that smells like pine. That's interesting. And a good thing to have around with boys I'm sure. Have you ever tried it? So this is the big green ball outside the nut that you cut up, the very outside?? What do you do with the nuts themselves, anything? You find the most strangely wonderful things!! I better stay away form that since I'm allergic to walnuts. I don't know about the hulls. I do remember getting stained by the hulls when I was little and played with them when they fell from the walnut tree. This is interesting to me and something I haven't researched. We have Black Walnut trees on our farm. You are constantly amazing, Lisa! Let us know how it works when cured. Oh, the things I learn here! In my neck of the woods, most farmers sold off their walnut trees for several hundred dollars each so there are only a few of them left. But we used to gather them up and run over the green sheels to crack them open with my dad's Model A Ford. I never knew all this. My aunt & uncle had a grove english walnuts. Everyone in the family got to come in time for harvest - each of us had our own special job . . . still, i don't remember seeing any of this . . . Golly, you do some of the most amazing stuff. 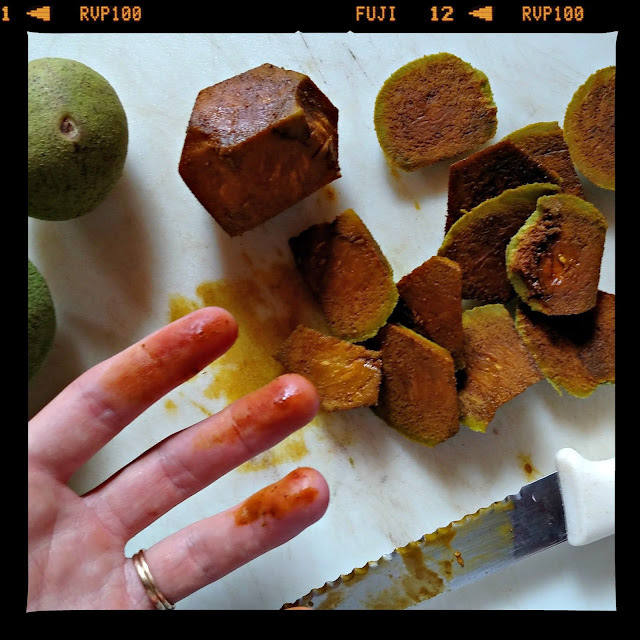 I didnt know what is walnut tincture until i read your blog post. Probably coz my side we only have dried walnut and it's very pricey too. I have bought it in tiny bottles and used it. Don't overdo it, of course. I'd love to try this! My husband is a weirdo for me trying to make my own things like this. I talked about me making my own liquid soap. My husband freaked out like it was witch craft, or something. I love making things like this though.